For some insane reason I decided to remotely log in to work to catch up on emails. ON A SATURDAY! So I definitely deserved what was about to happen next. I sat out on the balcony with my lap top, copy pasting stuff from one excel spreadsheet to another well into the 9 o’clock hour. I finally realized that darkness had surrounded me so I decided to head inside. I stumbled into the dark apartment, flicked on the kitchen light, and continued to copy paste things in corporate-zombie-like fashion. Suddenly, a quick shadow darted across the kitchen. I popped my head up to investigate. My initial thought was that some poor bird flew into the apartment. Then, it dive-bombed at me. The biggest, blackest, furriest bat I’ve ever seen. A self proclaimed nature lover, I jumped out of my seat, setting a new world record for how fast someone could possibly jump out of their seat. I grabbed the nearest object that was within reach and hurled it at the bat. That object was a box of multi-grain Cheerios. I threw it with such force that it was now raining Cheerios in the kitchen. I raced around ducking and dodging the belligerent bat, crunching the cereal beneath my feet. The thing finally swooped into the room nearest to the balcony and I politely locked the door behind it. I looked around at all the flattened Cheerios on the floor, pondering my next move. Five minutes later I am adorned with a snowboarding jacket, goggles, and gloves, holding a frying pan. I was ready for action! I flung open the door and charged into the room with the bat, unleashing my best warrior cry. Tripping over various objects, I reached the balcony door and kicked it open. The bat sensed freedom and seized the opportunity. It was free and I gladly returned the frying pan to its usual location. My theory is that the bat originally followed me into the apartment because it was drawn to the bright glare of the computer screen as I brought it inside. Lesson learned so thank you giant-creepy-furry-bat for reminding me to never log in to work on a Saturday again. haha lol nice one! can imagine how the whole thing went! I love this – – just read it for the third time so I could giggle all over again. I would have gone completely Bruce Lee on that bat!!! Thanks all! I mean when does that happen? Seriously. Excellen writing, Kirill! Felt like I was ducking and screaming with you! 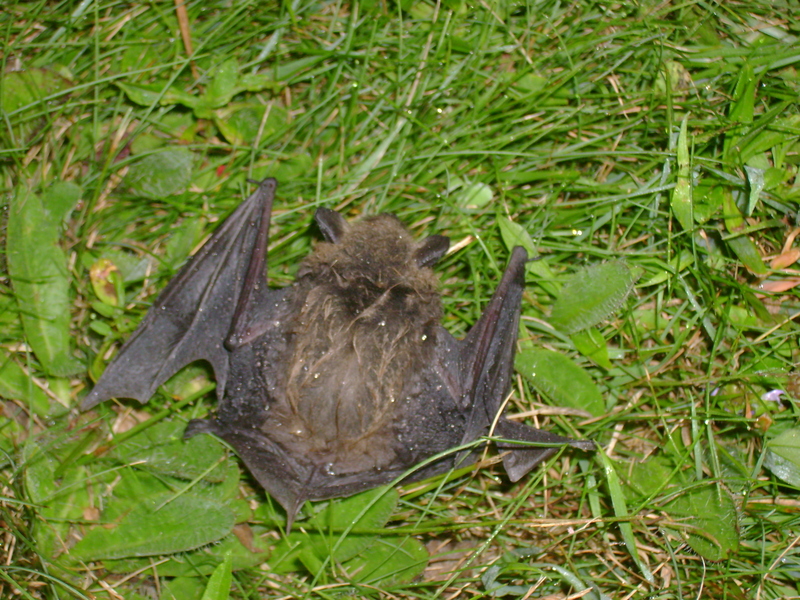 Actually, we had a batty batman at the Cabin. Lived in the roof over the deck. Aside from the batcrap all over the table, he was a good buddy! Glad to hear your guy got out safely! !